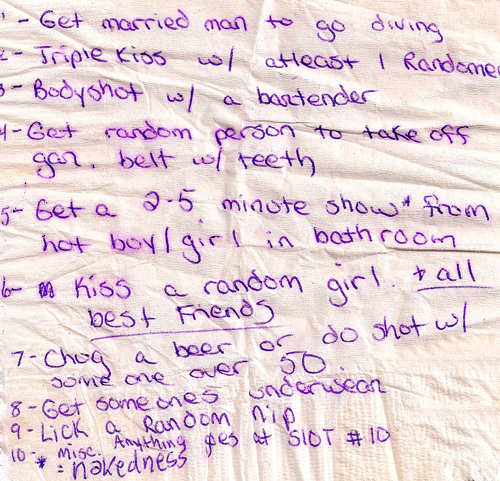 I found this napkin on the sidewalk in southeast Portland. 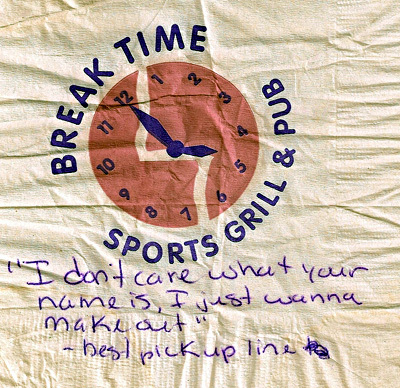 I’ve never heard of the Break Time Sports Grill & Pub, and was pretty sure it wasn’t in my neighborhood. When I Googled it, this bar is in Salisbury, Maryland! This napkin traveled all the way across the United States only to be dropped on the sidewalk!